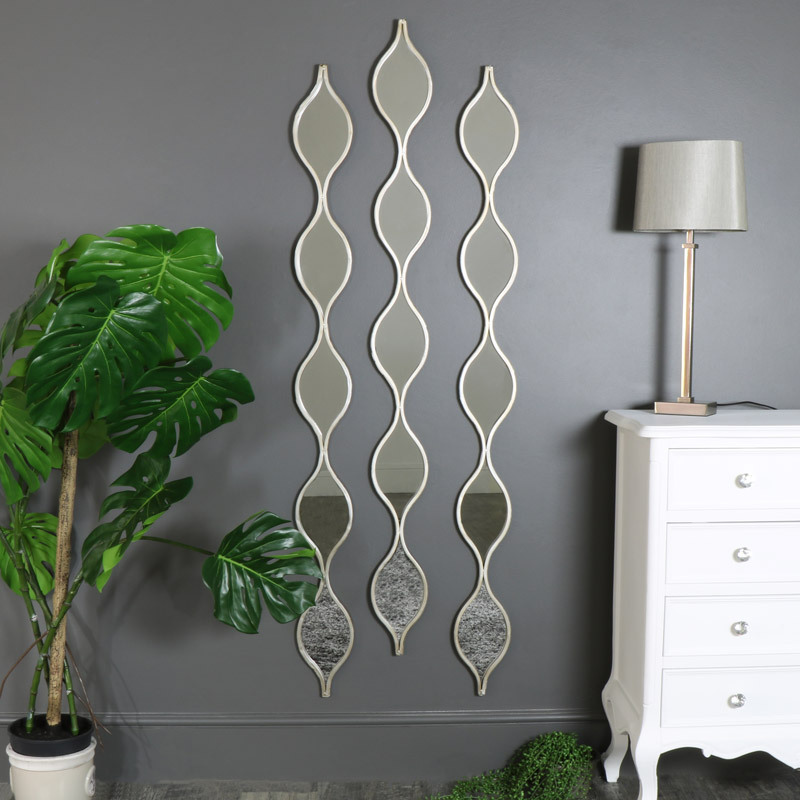 This mirrors will make a wonderfully decorative effect and just perfect for hanging in the living room or hallway. Finished with a silver frame in a ripple shape that adds an exotic look. Whether used as a set or individually, these mirrors will make a statement in the living room or hallway. With hints of an exotic Eastern feel. Both versatile and practical these mirror will help to create a beautifully decorative display in your home. This mirrors will make a wonderfully decorative effect and just perfect for hanging in the living room or hallway. Finished with a silver frame in a ripple shape that adds an exotic look. Whether used as a set or individually, these mirrors will make a statement in the living room or hallway. With hints of an exotic Eastern feel. Both versatile and practical these mirror will help to create a beautifully decorative display in your home. 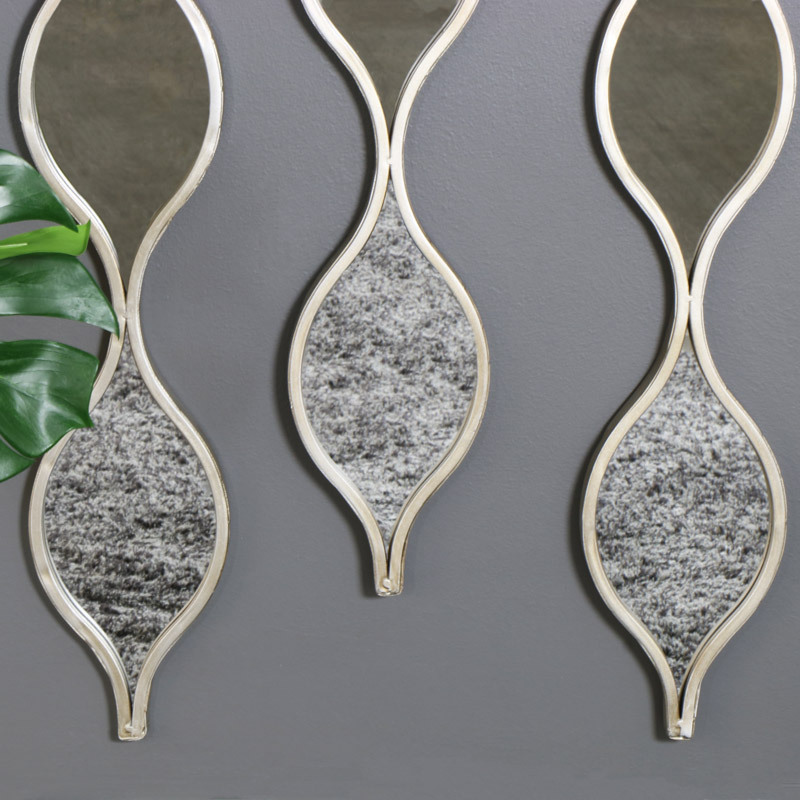 Each mirror features a metal frame in a rippled shape and finished in a vintage silver colour. Each mirror is easily wall mounted with a hook on the back. Each mirror is easily wall mounted with a hook on the back.